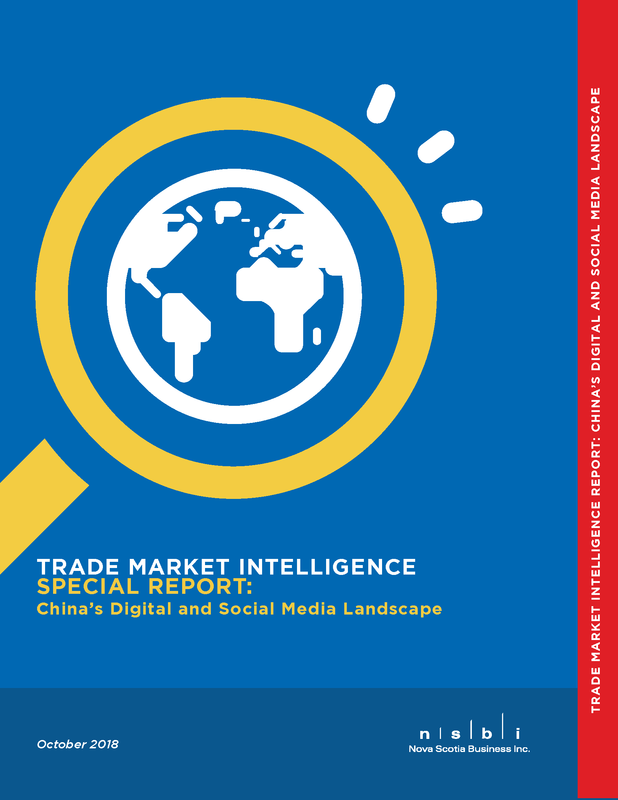 Trade Market Intelligence Special Report: China's Digital and Social Media Landscape | Nova Scotia Business Inc.
1. Access takes time and resources. China’s vast online market is beginning to open to more international businesses, but there are still significant digital barriers to be aware of. Access takes time and resources. 2. Understanding "The Great Firewall." The most pervasive barrier to entry is "The Great Firewall," which is unpredictable and designed to drastically limit the discoverability and competitiveness of foreign companies. VPN bans in 2018 made Chinese user access to international sites even harder. 3. China has unique social media preferences. Chinese platforms and websites offer the best marketing channel, as many western sites are unavailable or unpopular. Companies should make themselves aware of China’s unique social media preferences, as well as SEO for Chinese search engines. Once a platform strategy has been decided, be aware of government policies that may impact how those platforms are used. 4. Mobile e-commerce is essential. Integrating mobile e-commerce technology into product offerings and social marketing for China is essential since Chinese buyers overwhelmingly use their mobile devices to shop. Companies can leverage China’s tech giants, AliPay or Tenpay, but must stay informed of their ongoing regulatory status. Major policy changes took place in 2018. 5. Ongoing IT support is necessary. The reliability of broadcasting and video streaming services that work through the Firewall is variable, depending on usage type, user location, and government policy. Companies looking to stream video are advised to take advantage of free trial programs to test multiple services and form a close relationship with the partner they ultimately choose. Ongoing IT support will be necessary for navigating China’s fluctuating technology and access environment. If you are looking for customized research on business opportunities in specific sectors and export markets, you may be eligible for NSBI’s Trade Market Intelligence (TMI) Service. The TMI service is provided at no cost to eligible Nova Scotia companies. Learn more and read available Trade Market Intelligence Special Reports.